MULTAN: Civil Aviation Authority (CAA) Multan officials returned a lost purse of a passenger after finding it abandoned at Multan International Airport. CAA Spokesperson Qayyum Khan said a passenger Muhammad Saleem had boarded a Shaheen Air flight NL-709 and left for Jeddah leaving his wallet behind mistakenly. 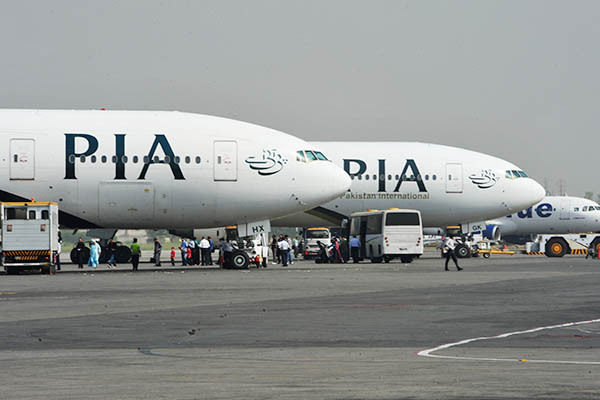 Terminal Duty Manager Ayub Khan Niazi found the wallet containing 300 Saudi Riyals, identity card and computerized driving license at airport lounge and conveyed information to passenger’s family by post using the address in the identity card. Later, Ayub Niazi handed over the wallet to Muhammad Arshad, the brother of the passenger, in the presence of airport manager. Arshad said his brother was happy and thankful to the CAA for their honesty and dedication to duty. The CAA official said that CAA has established a separate section for the purpose of returning lost articles to passengers.